Play more than one video in your Featured Video spot! It is easy with "Up Next". Up Next brings playlist-like functionality to the Mediavine Video Experience by allowing you to play multiple videos in a row with a pre-roll ad before each video. Your videos will play one after another with a pre-roll ad before each one. This allows you to capture more impressions via your readers that are staying on your site for an extended period of time, and also improves user experience by showing your reader different videos and not the same one during their whole session. You can adjust the priority of individual videos to determine how high up in the playlist order they sit. Currently, custom playlists are not available but that is a feature we're working on for a future release. 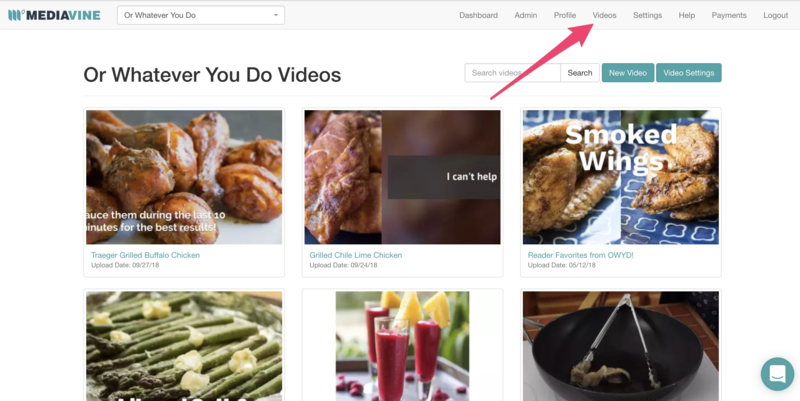 Navigate to your Videos page in your Dashboard. Standard priority videos will be played from most impressions to least. If multiple videos have Boosted Priority, the one with the highest impressions will play first. More features are on the way, so if you have any questions, comments, suggestions, or requests send them over to us at publishers@mediavine.com. Previous this was a feature that could be enabled or disabled via a check box. This changed in 04/19 and the Up Next feature is now enabled for all video.